If you were sentient in the early 90s, you probably heard about a little show called Twin Peaks. And chances are you’ve heard of its creator, David Lynch, director of the films The Elephant Man, Blue Velvet and Mulholland Drive. 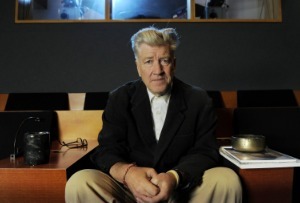 But what you may not know is David Lynch is just as committed to the practice of Transcendental Meditation as he is to his art. And through his foundation, he’s been helping at-risk populations learn the practice. This week, along with Clint Eastwood and a host of researchers, David Lynch launched Operation Warrior Wellness — a program to teach meditation to soldiers suffering from Post-Traumatic Stress Disorder. Take a listen to his interview with Brent Bambury. Click here to listen on the Day 6 blog. This entry was posted on December 19, 2010 at 7:35 pm and is filed under Articles, David Lynch Foundation, Peace. You can follow any responses to this entry through the RSS 2.0 feed. You can leave a response, or trackback from your own site.